The zener diode is a sharply break down voltage diode which allows current to flow in the forward direction in the same manner as an ideal diode, but also permits it to flow in the reverse direction when the voltage is above a certain value known as the breakdown voltage. Min. Working Zener Voltage (Vz): 11.4V. Max. Working Zener Voltage (Vz): 12.7V. Continous Forward Current (If): 0.25A. Max. Reverse Leakage Current (Ir): 0.1µA. Forward Voltage Drop (Vf): 0.9V. Total Power Dissipation (Ptot): 500Mw. It is used as a voltage regulator. 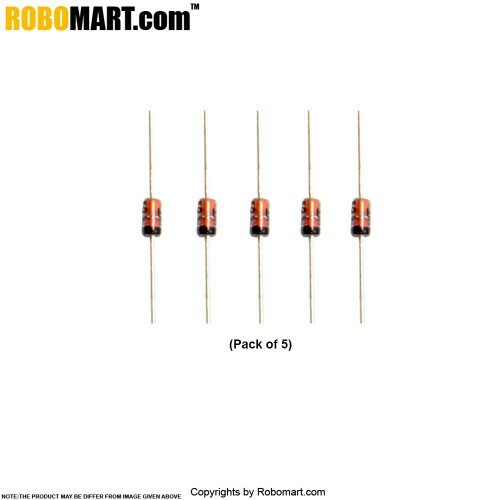 Also Searched as : Zener Doide, 12V Zener Diode.